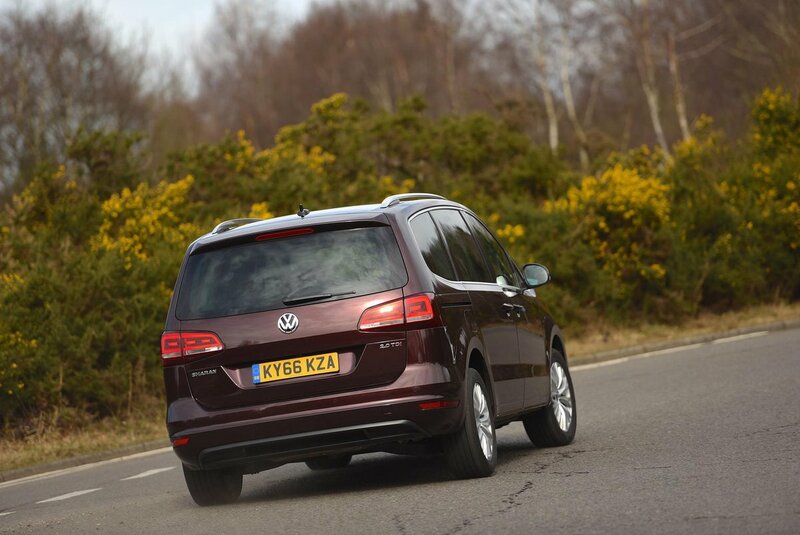 Volkswagen Sharan Interior, Sat Nav, Dashboard | What Car? 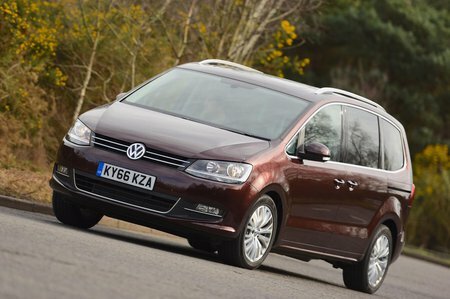 Up front, the Sharan provides a comfortable place for the driver – that’s because the driver benefits from both seat height and steering wheel adjustment as standard (height adjustment is an option on the cheaper Alhambras). Once comfortable, the driver gets a decent view forwards thanks to the Sharan’s huge windscreen and thin front pillar, while a glance over the shoulder reveals more tall, wide glass and thin pillars to give plenty of confidence around town. Furthermore, the pedals on manual models line up nicely with the driver’s seat, so there are no awkward angles to sit at and none of the Sharan’s console buttons require a stretch in order to operate them. 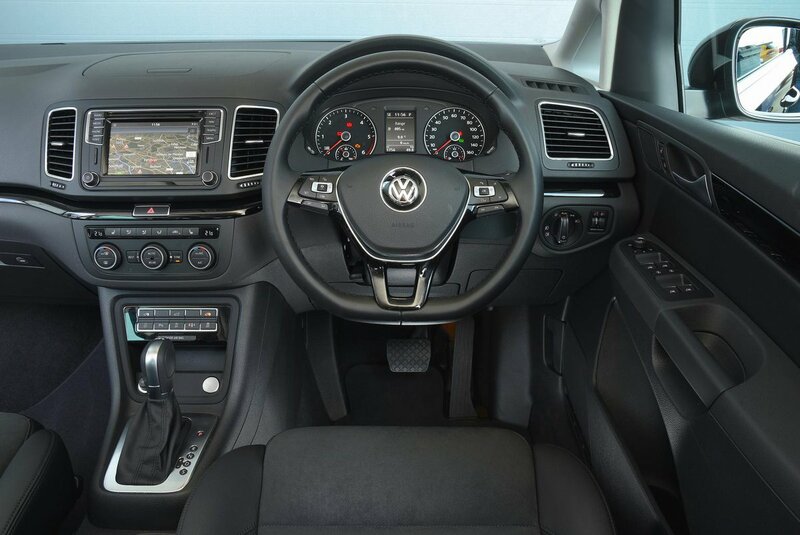 The dashboard itself is standard VW, which means a near-premium ambience, and excellent fit and finish with high-quality materials that are soft touch in all the right places. A 6.5in touchscreen infotainment system comes as standard, flanked by menu shortcut buttons, and, for extra money, you can add sat-nav, Apple CarPlay, Google Android Auto, MirrorLink functions and a rear view camera. Overall, it’s a good system, with decent response times and logically thought-out menus, but some of the onscreen graphics look a little dated next to the newest systems on offer in rivals.